There is an intimate relationship between characters and events. Indeed, it may be fair to suggest that in storytelling, the two are not really separate entities at all. They are two sides of the same coin. Characters and plot events make story – the one could not exist without the other. Plot does not work if there are no people (or rabbits, or robots, or whatever) to make the decisions and perform the deeds that combine to make the story. There can be no events without characters to perform or at least experience them. If the narrative describes purely the sequence of, say, natural events, be it the eruption of a volcano or the growth of a flower, then you’re probably reading a report. In a story, these entities – the volcano or the flower – either act as characters and start to do motivated things, or, more likely, cause a response in the characters that experience them. As exciting as a volcanic eruption might be, it is that response to it in the characters that makes the events interesting to the reader or audience. The overall effect of these two elements of story, character and plot, causes the audience to look for some kind of meaning to the story. And in order for the audience to experience the story, it must be conveyed in the language of a particular medium (text in the case of novels, or moving images and sound in the case of films). But there’s no avoiding plot. Characters drive story. Events drive narrative. Developing story material means growing a narrative out of an idea. 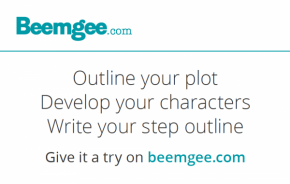 You might start with an idea for a character or begin with a plot event, an idea for a scene. If you start with an event, then you immediately ask yourself who is taking part in this scene. Who is performing the action, and why? If you start with a character, perhaps see this figure in your mind’s eye, then you immediately start asking yourself, what does this person do? Which confrontations arise because of the character’s actions? Which forces motivate the character to do what she does? So you see, there is no way to consider plot without character, and no way to consider character without plot.